Nice box art with good use of color and photographs. Reminds me of the Heroes of the Gap box art with the use of counters in the middle and bottom of the box. It's a surprisingly heavy box too. Although I don't have a shot of the back, it seems a lot less "cluttered" in terms of text and art, which is a nice change from the "Band of Heroes" days. Inside the box, we are greeted with the module rules, which has a nice color cover. The rules themselves are your standard LnL series rules with black and white photos, etc. What's great to see is that the rulebook now uses photos and examples from newer games like Heroes of the Gap and rules changes are now in italics. 1.) Turkey has entered the war this morning on the side of NATO. 2.) Diplomatic negotiations between NATO and the Soviets are progressing. The Soviets have scored 18 VPs through Sea Denial. 3.) Storms rage across the Eastern Med. and the Tyrrehnian Sea, messing up invasion plans for both sides. Strat Air Missions: Not too much going on with Strat Air this morning as the storms in the region have prevented aircraft from flying. There is an interesting development in the Black Sea when the Turks send an RF-5 "Tigereye" Recon flight out to pinpoint the location of the Black Sea fleet. 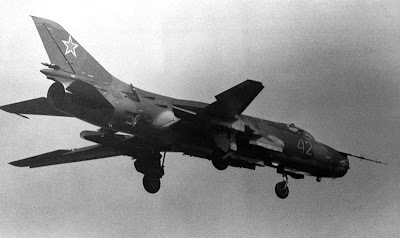 A Mig-23 catches the recon flight and completely eliminates them. The Moroccan FF Erham and a handful of patrol craft absolutely lay waste to the Algerian surface fleet in the Western Med by using SSMs. Turkish destroyers head south through the Aegean. 1.) The Soviets have angered the Turks by overflying their airspace. The Turks enter the war on the side of NATO on Day 2. 2.) Diplomatic attempts to resolve the crisis have actually made significant headway at the UN. 3.) The US has a carrier task force searching for the Soviets in the Eastern Med. 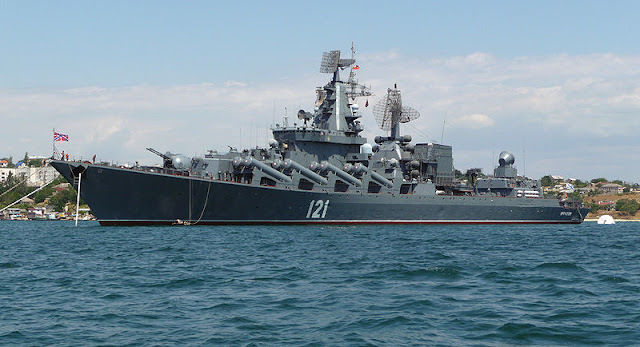 The bulk of the Russian fleet has been able to avoid detection by sitting quietly off the coast of Syria. 4.) Israel and Egypt have successfully drawn Soviet subs away from the US carrier task force but they have taken horrible losses in their attempt. 5.) A group of US surface ships without air cover sits near Sicily and is being harassed by Libyan surface craft and Soviet subs. The Yugoslavs, who have surprisingly entered the war on the side of NATO, are en route to assist them. 1.) A US Carrier task force in the Eastern Med has launched a successful air attack on a Soviet carrier task force, damaging the Minsk. 2.) The Soviets are using their air bases in the Crimea to launch devastating attacks on the Israeli fleet, which is trying to prevent the Soviets from embarking from their bases in Syria. 3) A US amphibious task force is steaming east to join up with the rest of the US carrier task force but it has been harassed by Soviet subs the entire way. It is currently sitting near Sicily. 4) The Soviet air attacks from the Crimea have angered the Turks so much that they have broken neutrality and will enter the war tomorrow morning on the side of the US and its allies. I really love LnL's "Dawn's Early Light", an operational level game involving NATO and the Soviets slugging it out over a series of scenarios depicting WW3. One thing that I think the game could use to spice things up a bit would be some more random elements to represent the chaos of modern war. I haven't fully tested this random event table so use with caution and modify as you see fit. Have fun! Either player rolls 1d10 before the beginning of Phase 1 at the start of every day. Roll only once per day! 1: Refugees: The cities and roads are clogged with civilian refugees trying to flee from the fighting. City hexes cost double MPs to enter. Road movement bonuses may not be used. 2: Inclement Weather: Airstrikes and helicopters cannot be used due to heavy rain and thunderstorms in the area. 3: Strong Winds: Chemical weapons affect all surrounding hexes of and including target hex. Ah...1985. It was a year filled with good movies (Back to the Future, Out of Africa, The Goonies), good TV (Miami Vice had just finished its first season and The A-Team was in its prime), and good music (Springsteen's Born in the USA became the bestselling album of 1985). But on some alternate branch of reality in the LnL universe, all of that came to an abrupt halt on May 14th, 1985. Instead of "Morning in America", we all got "Midnight in Europe" almost exactly 40 years after WW2 had ended. In LnL's "Heroes of the Gap", the Americans are trying to stop the Soviets from steamrolling through the West German town of Eisenbach at the start of WW3 in the summer of '85. 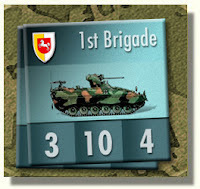 All of the scenarios take place during the first day of the war, allowing players lots of different ways to play out a deadly modern conflict in one small but vital scrap of land.